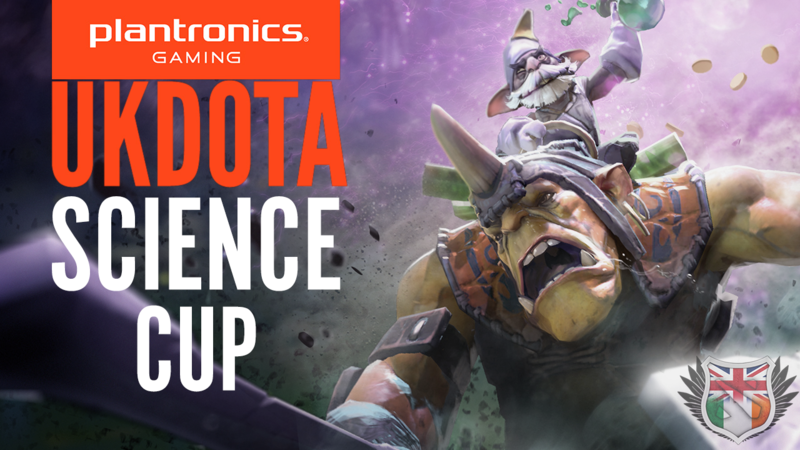 The Plantronics UKDota.net Science Cup brackets are ready! Signups are now closed; the 16 teams are set and the brackets have been fixed ahead of our first cup this year! The competition will take place this Saturday February 22nd, with the winner taking home 5 Plantronics RIG Headsets. The competition will see teams grapple with a double elimination BO1 tournament, before we get to see the two best teams on the day contest a BO3 Grand Finals. The competition will be kindly cast by Joe ‘JoeShow’ Styrka and Gareth ‘durka’ Bateson, supported by our partners, Multiplay. Any teams that signed up but didn’t make it into the brackets, due to our first come first served system, will be kept on a waiting list and still have a chance to play in the tournament should there be drop outs in before the first round. So if you registered and still want to play, make sure you save the date! Check-ins will take place over at #sciencecup IRC channel on Quakenet. Check-in will open at 10am, with first rounds taking place at 11am. Tournament rules and further information about the tournament format can be found in the original post. Update: Team Infused have decided to withdraw from the tournament, with Super Ghostface & Korea Pew Pew Crew taking their place.